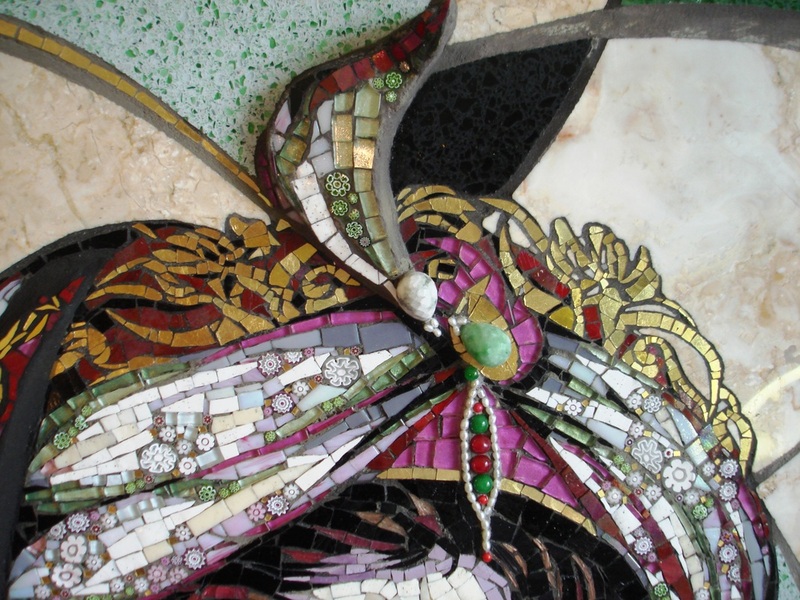 Medium: Mosaic: Smalti, 24 karat gold smalti, Millefiori, Iridescent tile, Metallic tile, Crystallino, Marble, Pearl, Jasper and Jade. “Orchis Coriophora” M1 is another piece from my Art and Biodiversity, Wild Lebanese Orchids series dedicated to nature conservation and awareness, which I have been working on since 2007. In this particular piece, I was experimenting more with the mosaic bas-relief effect that I’ve used recently. 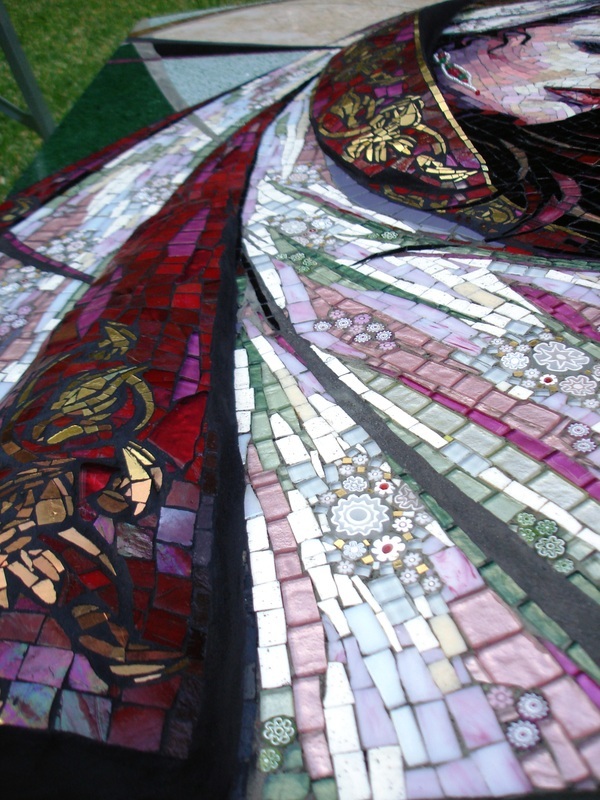 The unusual volume created alongside the various use of glass, helped me achieve more interesting images and reflections of light when looking at the artwork from different angles. 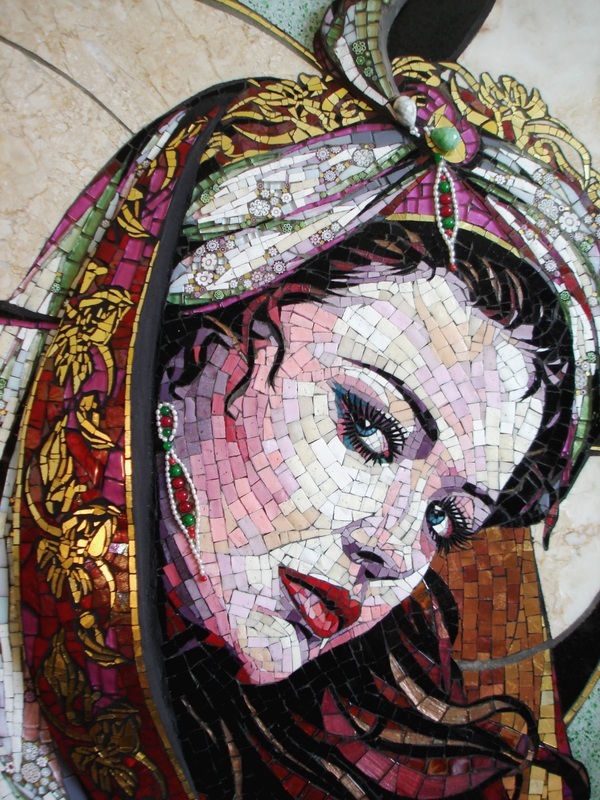 The materials and concepts that I have been working with have grown my passion for mosaic art and challenge me to continue to improve, nurture, and explore within the mosaic realm of art.